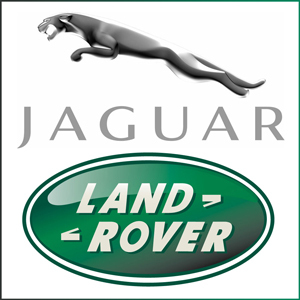 As other car manufacturers are handing out bad news to hundreds of workers who are set to lose their jobs, Jaguar Land Rover are announcing the expansion of its production at its Solihull plant, with 800 openings being created to support the production of new models. The Tata-owned company saw a 30 per cent rise in global sales in 2012 totalling 357,773 vehicles for the year; 71,940 of those sales were in China, an ever growing market for JLR and is a figure that could very well be attributed to a joint venture between JLR and Chinese company Chery Automobile. The two firms are set to invest a massive £1.1 billion into the Chinese economy –the second biggest on the planet – which will go towards JLR’s first ever plant built outside of the UK, with the new manufacturing centre expected to open in Changshu near Shanghai in 2014. The sales figure in China was a 71 per cent rise on 2011, while UK numbers were also encouraging, as sales were up 19 per cent to 68,333 and US numbers were also up 11 per cent to 55,675. Phil Popham, JLR’s director of group sales operations, announced the figures to coincide with the Detroit Motor Show and said: “All of our key markets saw strong progress, with demand for our premium vehicles setting new records in a very competitive environment. Jaguar’s progress over the years has seen the manufacturer move away from solely providing expensive, sporty luxury motors and its customers having little care for fuel economy or the rising petrol prices, to being able to supply solidly built cars with superb engines, such as its renowned 2.2-litre diesel unit that has taken on many plaudits. However, Jaguar are not moving completely away from its sports car heritage, with the spiritual successor to the E-type being released this year, the F-type, which will offer smaller alternative to the XK range for a more appealing price. JLR also plan to take on 150 apprentices which will no doubt spur on the younger generation of engineers. There will be 90 spaces for Advanced apprenticeships and another 60 for Higher apprenticeships for GCSE and A-level students respectively. Applications close on January 31. The news from Birmingham will hit hard in Swindon, where 800 Honda employees will be forced to leave the company after a sharp fall in demand for its cars in Europe that is estimated at around a million less cars sold last year. This is despite growing car sales in the UK that saw a 5.3 per cent increase in 2012 compared to the previous year. French manufacturer Renault has also announced that they plan to axe a massive 7,500 jobs in France, albeit 5,700 are apparently a result of “natural turnover” (retirements and resignations). About the author: Sam writes for DCI petrol card, Ireland’s leading fuel card supplier to businesses and offer competitive rates for fuel card use across over 980 Irish service stations.